Facebook COO Sheryl Sandberg attends the annual meeting of the World Economic Forum (WEF) in Davos in this January 25, 2013, file photo. Ever since the world got wind of Facebook COO Sheryl Sandberg’s new book “Lean In,” which landed on store shelves Monday, it’s been viewed as a sort of modern-day feminist manifesto of how women can get ahead in the corporate world. And while it is that in many respects, it can also be seen as a good, common-sense approach to career advancement, for either gender. Some academics are finding it's providing a good springboard for the discussion. Pulin Sanghvi, assistant dean and director of the Career Management Center at the Stanford Graduate School of Business, said he liked Sandberg’s message of developing your own greatness on your own terms. Leaders are rewarded for their “spikiness,” he said, rather than their well-rounded skills. Filled with studies to back up her anecdotes, Sandberg refrains from whining about workplace inequality. Instead, she offers dozens of techniques that can level the playing field faster. She gives specific examples of changes that can be made by men (hire and promote women, share household chores with your spouse), companies (offer paid personal time off, engineer less rigid schedules) and government (support affordable child care). Mainly, however, it’s about how women (or men) can work the system even if it’s broken. Seek a job at a fast-growing company because there will be more opportunities than at a place that is stagnant or shrinking. "If you're offered a seat on a rocket ship, you don't ask what seat, you just get on," she writes that Google's then-CEO Eric Schmidt said in persuading her to work at the company. Don’t talk yourself out of applying for a job if you don’t have 100 percent of the skills. Sandberg cites a 2008 study at Hewlett-Packard that found women only apply for a job if they think they meet 100 percent of the criteria. Men apply if they think they meet 60 percent of the requirements. “I want to do that – and I’ll learn by doing it,” is the more successful mindset. Women may have to ask for a raise differently than men. 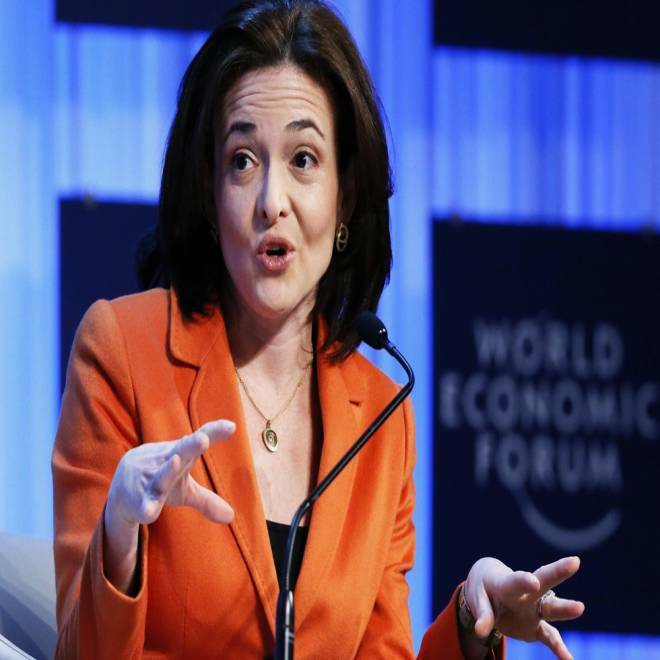 Sandberg cites a study that shows women touting their own success are seen as pushy. One trick is to advocate for yourself as a strong member of a team that deserves the reward. Say, "We had a great year," versus, "I had a great year." Here, Sandberg explains a central point of her book: "I understand the paradox of advising women to change the world by adhering to biased rules and expectations," but it's a means to an end, she argues, and it won't always have to be this way. Prioritize. In her “Myth of Doing It All” chapter, Sandberg quotes Dr. Laura Glimcher, dean of Weill Cornell Medical College, who admits to not keeping her linens perfectly folded all the time. “I had to decide what mattered and what didn’t and I learned to be a perfectionist in only the things that mattered,” Glimcher said. Don’t ask a stranger to mentor you. Instead, ask smart questions to get noticed. In one example, Sandberg notices a junior employee leaving a conference room armed with a succinct, casual-sounding question for a manager. She also cites a woman she met at a conference, Clara Shih of Hearsay Social, who followed up with a series of short emails with thoughtful questions she could not get answered elsewhere. When starting out, think of child care costs as an investment. While you may only break even at the start, eventually your salary will rise, making the child care costs a smaller percentage of your paycheck. “Employees who concentrate on results and impact are the most valuable,” Sandberg writes. One example she uses is from Lori Goler, who was then the senior director of marketing at eBay. Her job pitch to Sandberg was basically, “What is your biggest problem and how can I solve it?” Goler was hired to run recruiting at Facebook. Get more sleep to become a better problem solver. Clara Shih, "The Facebook Era" author, discusses what it was like to be mentored by Facebook's Sheryl Sandberg, and weighs in on how women can redefine their positions in the workplace.